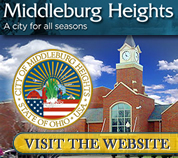 The Middleburg Heights Summer in the City Festival will hold its fireworks display on Saturday night at 10 p.m., so grab the kids, some earplugs, and enjoy some spectacular pyrotechnics! 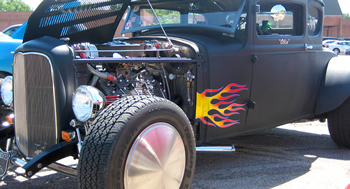 The Classic and Collector Car Show will be held on Saturday, June 29th. 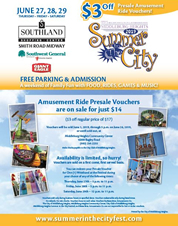 The location for the car show will be Southland South. On Saturday, June 29th from noon to 3:00 p.m. a Naturalist from the Cleveland Metroparks Rocky River Nature Center will be on hand at the 2019 Summer in the City Festival to reveal the natural history of Northeast Ohio wildlife with hands-on biological artifacts. This outreach program is part of Cleveland Metroparks' continuing effort to bring the sights and sounds of nature to schools, youth groups, recreation centers, and special events throughout Cuyahoga County. 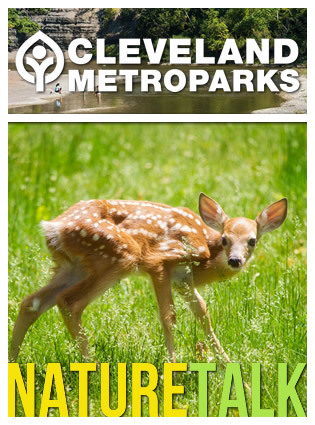 Cleveland Metroparks has been delivering mobile outreach education programs connecting the urban community to nature-based, educational programs since 1976. Rocky River Reservation spans portions of Berea, Brook Park, Cleveland, Fairview Park, Lakewood, North Olmsted, Olmsted Township, and Rocky River. The first land acquired for Cleveland Metroparks — a 3.8 acre parcel purchased in April 1919 — can be seen from the Stinchcomb-Groth Memorial. The character of the reservation is strongly influenced by the Rocky River. Massive shale cliffs rise above the willows, sycamores and cottonwoods, and many trails wind through the valley's deep floodplain forests, meadows and wetlands. Wildlife is plentiful in the valley where visitors can expect to see numerous bird species and some common Ohio mammals year-round, including the white-tailed deer. Visit Rocky River Nature Center to learn more. On June 29th, the world will be watching to find out who will be crowned Miss Middleburg 2019. 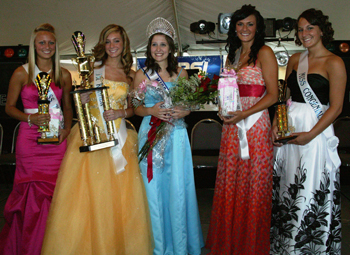 The Miss Middleburg Pageant will be held at the festival main stage from 2:00 p.m. to 4:00 p.m. on June 29th. 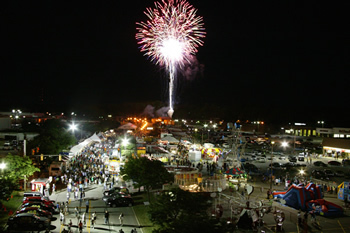 The crowning will take place on Saturday at 8:30 p.m. on the main stage. 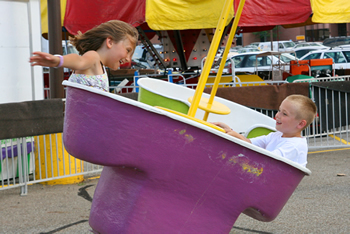 The Middleburg Heights Summer in the City Festival features loads of fun activities for kids, including face painting, amusement rides, carnival games, fireworks, a parade, and more! 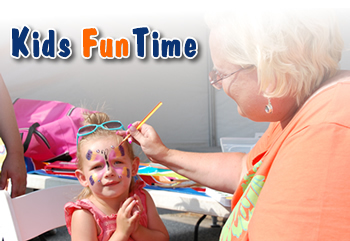 This is truly a family friendly event, so bring the kids out and enjoy a day of fun for the entire community. 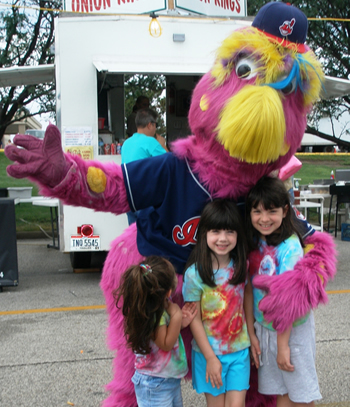 Get ready to meet some of the area's most celebrated icons – Cleveland sports team mascots including Cleveland Cavaliers Moon Dog and Slider of the Cleveland Indians, as well as other mystery mascots. 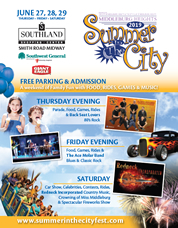 Slider and Moon Dog will be visiting the Middleburg Heights Summer in the City Festival, so get your cameras ready and keep your eyes peeled. Who knows, you may even be able to snap a pic with one of these lovable mascots.